Georgia lies in the central and western part of the Caucasus region between Black and Caspian seas (Map 1; Source). This mountainous country covers ca 70 km2 and has a population of ca. 5,000,000. It still has a high proportion of undisturbed areas, not least because of poorly developed countryside infrastructure. The Caucasus region is peculiar by high diversity of landscapes and biological species, compared with other non-tropical regions of the northern Hemisphere. IUCN included the Caucasus in the list of the planet’s 34 most diverse and endangered hotspots (and one of the four hotspots of the Europe and Central Asia). (Source). Critical Ecosystem Partnership Fund and WWF international also identified the region (delimited in a slightly different way from IUCN) as globally outstanding for biodiversity (Source). 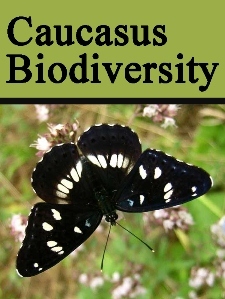 Peculiar feature of the Caucasus biodiversity is high proportion of the narrow-ranged and endemic species in the local Fauna and Flora, high diversity of landscapes (from humid mountain forests and wetlands to deserts), and viable populations of many species endangered in the rest of the western Eurasia. Georgia, although covering only one-seventh of the Caucasus region, aggregates almost all kinds of the landscapes/biomes one could find throughout the area, and the country’s species diversity, covering far beyond two-thirds of the species found throughout the entire Caucasus, comprises nearly 1% of animals and plant species of the World. Climate differs from dry warm continental in the southeast of the country to the very humid temperate in the west (Mtirala mt. in the southwest has 4,000 mm annual precipitation, exceeding any other geographic point in the continental western Eurasia. The country lies along the eastern coast of the Black Sea and southern slopes of the Great Caucasus mountains, at the latitude of Washington, northern Greece , or the northern Spain. Humid areas have the greatest diversity of endemic species. Nearly quarter of terrestrial vertebrate, fish, and even more of flowering plants of Georgia are endemics of the Caucasus region. All The country has 12 amphibians, 54 reptiles, and over 100 mammal species. It is hard to estimate how many endemic insects live in the country. Those are concentrated mainly in the south-east of the country, although are sporadically found throughout the entireeastern Georgia . This group of landscapes includes semi-deserts, steppes, hills covered with shrub, rocks, and savannah-like grasslands. Summer here is hot, winter mild. Most of the species found here are typical for Mediterranean region, however some of that are very rare in European Mediterranean countries and more typical for the western Asia . Moreover, there are species and genera not found in the Mediterranean, which colonized the Caucasus from Central Asia . High diversity of reptiles is observed, including over fifteen species of snakes (of that only venomous one is a large Levantine viper) and various lizards. Mammal fauna includes gerbiles, hamsters, long-eared hedgehogs and other species typical for dry habitats. Wolfs and jackals are common. There are still little populations of striped hyenas and porcupines. Vegetation includes various species of junipers, Pistachio, cork elm, various herbs. Floodplain forests harbor francoline, pheasant, aquatic turtles, and wild boars. This is the most peculiar and diverse landscape of Georgia . 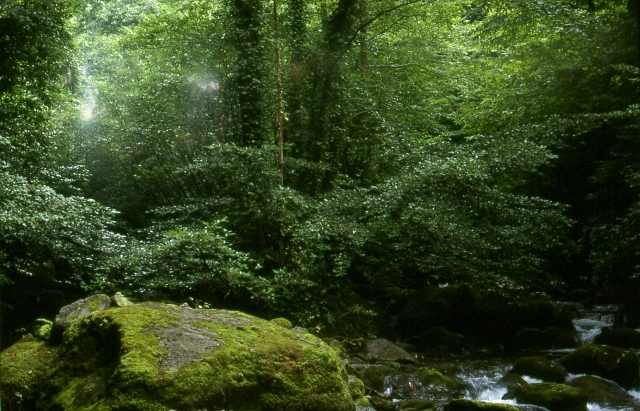 Extermally Georgian forests are similar to ones in Alps or Carpathiand, but the diversity of plant and animal species is much higher, with very high proportion of endemic species that remained here since Pliocene time. This area has outstanding level of humidity, resembling somewhat temperate rainforests of British Columbia . In some parts of the area, the annual rainfall exceeds 3,000 and even 4,000 mm. Climate mild, although in winter deep snow cover is usual. Vegetation is extremely diverse, especially in the southwestern part of the country, and over a quarter of the species are endemics of the region. Five species of Rhododendrones are found nowhere else in the world. The area harbors several species of endemic shrews, snow voles, over ten endemic rock lizards of genus Darevskia , some of that breed parthenogenetically; endemic adders, toads, mud-divers, Caucasian brook salamander, spectacular banded newt, diverse running beetles and slugs, various ferns. Brown bear, roe deer, wolf, and jackal are common. 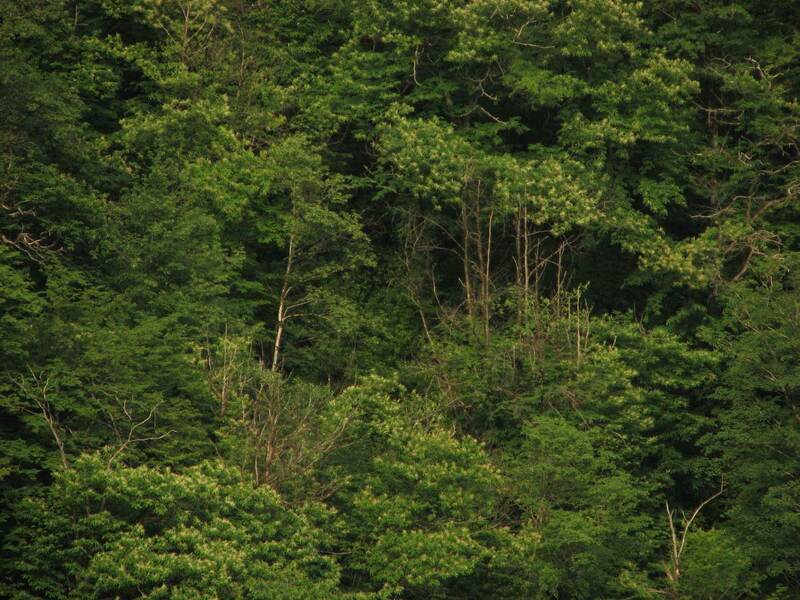 Some leopards still inhabit primary forests of the eastern great Caucasus. This type of landscape concentrates along the crest of the Great Caucasus mountains and in the volcanic plateau of southern Georgia (Javakheti province). The group of landscapes include grasslands, shrubs of Rhododendron caucasicum , and alpine tundra. Besides the species that live in very wide range of Eurasian uplands (such as various vultures, chamois, besoar goats), the area contains a number of species endemic for the Caucasus region. Those include some adders, lizards of genus Darevskia , snow voles, birch mice, Caucasian turs (mountain goats), Caucasian black grouse, and Caucasian snowcock, a number of spectacular butterflies.The Great Caucasus is a "young" mountain system: it has elevated ca. 5 millions of years before past, after Caucasian island conjoined with the Asia Minor by a terrestrial bridge. It is composed of steep rocky mountains with high peaks. 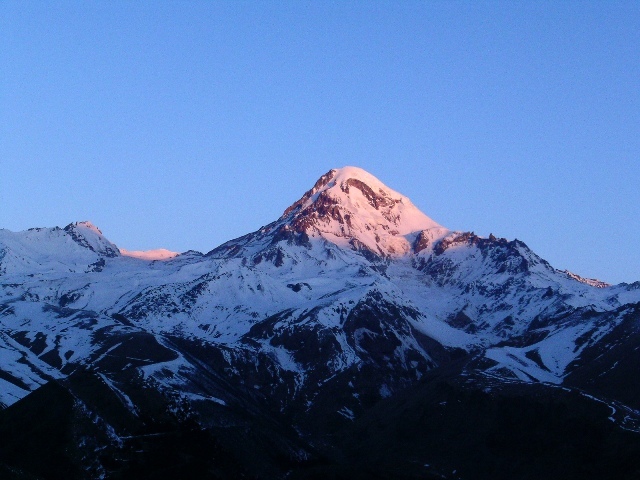 It has four peaks that exceed 5,000 m. The slopes of the Great Caucasus and its branches are covered with primary mixed and broad-leaved forests that at the elevation of 2,000 m are displaced by low-stem birch forest, then by subalpine and alpine meadows and, at the elevation exceeding 3,000 m – by apline tundra, eminent snows, and glaciers. The climate is harsh, with great amplitude of temperatures between day and night. Lesser Caucasus mountains have only a few peaks exceeding 3,000 m. Javakheti is a large grassland area lies at the border with Armenia and Turkey, at the elevation over 2,000 m, crossed with a road of volcanic cones. Lakes and wetlands are widely dispersed throughout Georgia. The largest rivers are Mtkvari ( Kura ) in eastern Georgia and Rioni in the western part of the country. 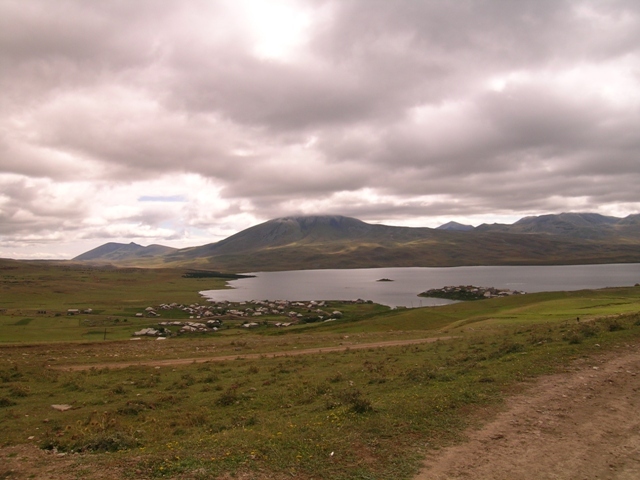 Largest natural lakes are those located in the Javakheti plateau (Paravani, Khanchali, Tabatskuri, Madatapa, Kartsakhi, and Sagamo), Jandari lake in the southeastern Georgia , and Paliastomi lake near the Black Sea coast, associated with other wetlands of the Colchis plain. Georgian wetlands harbor high number of waterbirds, otters, fish. In the river Rioni, still variety of sturgeons is found, along with endemic crayfish species.